When you ask yourself Does the Secret work you're on the right track. I find that good thoughts are easier for me to use everyday then just the basic law of attraction but positive thinking always seems to have some sort of impact. Does The Secret Really Work? I used to make fun of this concept and had the same attitude that the Simpsons do of "The magical notecards of fate". Now I have my own stack of such notecards and about 75% of them have come true. I do take a slightly different approach to fit within my own belief system. I use bound recipe cards that I pick up at dollar stores and then i can easily flip through them and see which of my "wishes" have come true. 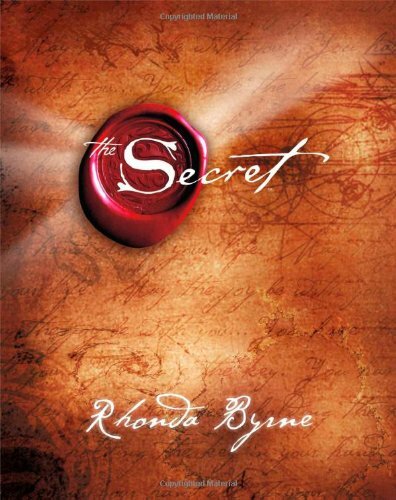 When I first read about The Secret or the Law of Attraction I initially thought that the answer to “Does the Secret really work?” was no. There was just no way that I was creating my own reality through my thoughts. In fact, it annoyed me a lot and I usually didn’t like being around people who followed it. I thought that they were losing touch with reality, and sometimes this is the case. Some people have even claimed that these ideas were the basis of them spiraling into depressions or losing control in their lives. One of the biggest things that I didn’t like about the Secret was that it was impossible to either prove or disprove it. 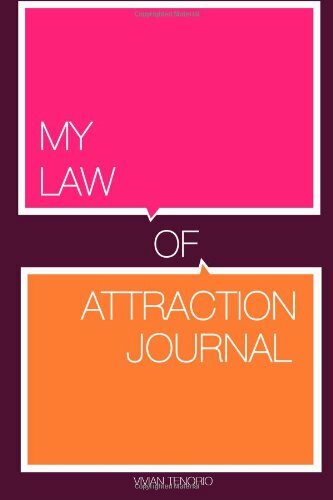 If I kept with my way of thinking that life was just something that was happening to me and that the law of attraction didn’t exist, I had proved the law of attraction right. All of those people that I didn’t like would usually say something to the effect of “It doesn’t work for you because you don’t believe in it”. The other big problem I have with the Secret is that it can seem really insensitive when there’s a big disaster or even an illness. In the movie they deal with people using this to help their medical treatments achieve miraculous results. While positive thinking doesn’t hurt people I was a little bit concerned that this would lead to people trying to heal themselves with their minds instead of getting proper medical treatment. This of course is really dangerous. However, if you think that the medical world can help you, then this belief propels you to get the best treatment possible and not accept anything but this. My favorite thing about the Secret was that it was free. Since I just thought it was a scam I really didn’t want to pay for it. I found the movie on my Netflix Instant Queue recently so it was free to watch. Most libraries will probably have the book too. Unlike a lot of other new age principles it isn’t trying to sell you larger programs. One of the most beneficial things these ideas brought me was the idea of possibility. Maybe things can change. I had wanted naturally curly hair but I wasn’t even comfortable trying the law of attraction with this because the keyword here was natural. However, to me this was the reality of the situation, I have straight hair. Sure, I could get a perm. I’ve had them before. However, I didn’t like the upkeep. A few weeks after I said that this would be nice I saw a Youtube video where someone put the right products in and discovered they had naturally curly hair. Then when I get my haircut I decided I was just going to ask if this was possible. My stylist herself had curly hair. She said that my hair was in fact curlier than hers. My whole life I had just been brushing it out and had never known this. No other stylist had mentioned this if they had even seen it. So The Secret didn’t change the texture of my hair. However, when I believed that it was in the realm of possibility I was willing to take a chance and find out if it could happen. It could. I think one of the reasons why I always asked myself “Does the Secret really work?” is that things are never as dramatic as I think they will be. In fact sometimes I get something and don’t even notice it. For instance, I was wishing that I had someone to take over a certain aspect of my job but couldn’t find anyone qualified to do so. A few days later someone offered to be my partner and I almost said no. Don’t they know how busy I am? I don’t have time to deal with all of that stress. Then I notice that they were offering to take over the exact aspect that I’d been needing help with. It would really be much easier if these things happened with notes attached like “This is a small miracle, pay attention”. If anything I need to practice the gratitude part of this much more than I do. Do I Still Use It? Sometimes I am afraid of the law of attraction. As someone who worries a lot it’s difficult for me to cut out on my negative thinking entirely. In fact even trying often makes me much more stressed out. Instead, I’d much rather follow anything that Paul McKenna wrote because he teaches how to actually change the way you think. He doesn’t say that negative thinking is bad. He understands that there is a place for it. It’s a warning system, and we can just choose to view it in much more positive ways. This is why “Change Your Life in Seven Days” is probably at the top of my list of the best self-help books of all time. In another instance I had tried the very basic principle that was used in a lot of money manifestation. You make up a check and write it to yourself, in a dollar amount higher than what you’re typically used to. I think the example that’s used in a lot of books is a million dollars. You do this so that you get used to the concept of being worth that much and having that much money and seeing it as a very real and obtainable possibility. Then it’s supposed to show up in your reality. I’ve tried this several times and have never noticed an influx of cash or even had a million dollar idea that I needed to act upon. However, it’s probably going to show up any day now I’m sure. So for me, the fact that I’m sarcastic may be creating a reality where it doesn’t work for me all the time. It never turns out the way that I expect it to. However, since it’s free it’s always at least been worth a shot to me. Thank you for sharing the secret! Im glad you have watched this interesting movie.The secret of attraction works in realizing your infinite potentiallty and freedom.